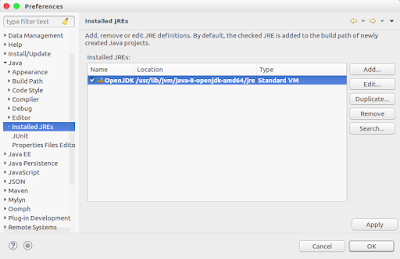 On my Ubunut linux i decided to do some Java programming. This just works like expected. But after that i installed eclipse. Download via www.eclipse.org was easy and the installation ran without any error. 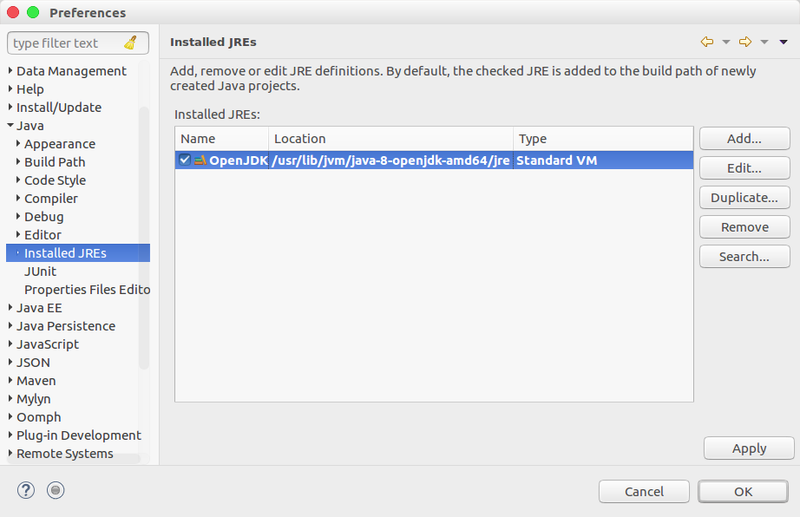 But Eclipse was not able to find the JRE for compiling, autocorrection, etc.